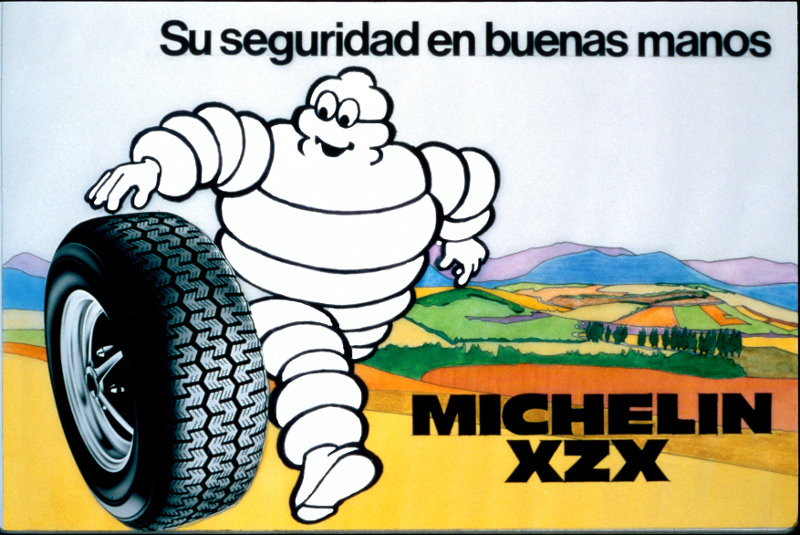 The XZX succeeded the ZX in 1976, as a continuation of the Michelin X range of radial tyres. The Michelin XZX range are extremely good value saloon car tyres considering the quality of the product. The amount of thin sipes in the tread pattern help move water improving wet grip. The carcass structure of the XZX is designed to absorb the bumps of the road and give excellent levels of comfort. The Michelin XZX resulted from Michelins tradition of continuous research and development to improve tyre performance. The sophisticated radial casting design and special tread pattern combine to maintain high mileage potential and provide exceptional adhesion particularly in the wet. The XZX range of tyres was partially replaced by the MX range of tyres in the mid 80's. Michelin's XZX is suitable for fitment to cars capable of 113mph (180km/h) with superb adhesion, particularly in the wet due to Michelins heavily siped tread design of the XZX; offering exceptional water dispersion. The tread life of the XZX lives up to Michelin's high standards. XZX offers High comfort with a low noise level good fuel consumption. Michelin's small range of XZX tyres offer the perfect tyres to fit Peugeot 404 or 403, Volvo Amazon and the VW Beetle or Coccinelle as it is called in France with the tyre 165SR15 XZX. Michelin also make a 145SR15 XZX which is for the Panahard 24, PL17 and Dyna Citroen GS and Renault R8, R10, Ondine Dauphine and Floride. Increased comfort thanks to the flexibility of the sidewalls. In the fifties the superiority of the X tyre was such that a number of racing drivers adopted it, although Michelin was not officially involved in any racing.